Forty four members of banned outfits were also arrested a day after Pakistan decided to streamline implementation of UN sanctions. 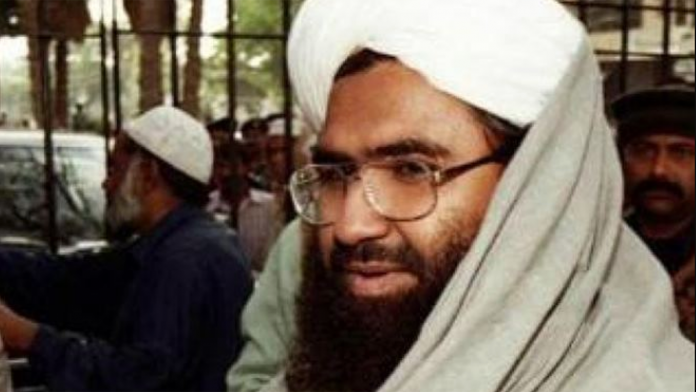 Islamabad: Jaish-e-Mohammed chief Masood Azhar’s son and brother were among 44 members of the banned militant outfits taken into “preventive detention”, Pakistan said Tuesday, amid mounting pressure from the global community on it to rein in the terror groups operating on its soil. “It was decided (at a meeting) to speed up action against all proscribed groups. In compliance, 44 under observation members of proscribed organisations, including Mufti Adbul Raoof and Hamad Azhar, have been taken in preventive detention for investigation,” the interior ministry said in a statement. Later at a press conference here, Minister of State for Interior Shehryar Khan Afridi confirmed that 44 people have been taken into custody as part of crackdown on militant groups. “It does not mean that action is being taken against only those individuals who are mentioned in the dossier,” he added. The crackdown came amid tensions with India following a suicide attack in Jammu and Kashmir’s Pulwama district on February 14 by Pakistan-based Jaish-e-Mohammed terror group that killed 40 CRPF soldiers. Foreign Minister Shah Mehmood Qureshi last week admitted that the JeM chief is in Pakistan and is “very unwell”, but said the government can act against him only if India presents “solid” and “inalienable” evidence that can stand in a court of law. “He is in Pakistan, according to my information. He is unwell to the extent that he can’t leave his house, because he’s really unwell,” Qureshi told CNN in an interview. Afridi, however, said the action was not taken due to any pressure. “This is our own initiative…We won’t allow the use of our soil against any country,” he said. “This is across the board – we don’t want to give the impression that we are against one organisation,” he said. Responding to a question, Khan said Hafiz Saeed-led Jamaat-ud-Dawa and its charity wing Falah-e-Insaniat Foundation would be banned within 24 hours. On February 21, Pakistan government had announced that it had banned the JuD and FIF. However, according to the website of the National Counter Terrorism Authority (NCTA), which was updated on Monday, JuD and FIF are still under watch list. The interior ministry statement also said that a high-level meeting was held on March 4 to implement National Action Plan (NAP). It said that actions against extremists will continue, as per the decisions taken in National Security Committee (NSC). The US last month asked Pakistan to “freeze without delay” the funds and other financial assets of the UNSC-designated terrorist networks and their leaders. Wasn’t Abdur Rauf supposed to have died in Balakot airstrike? Or was he some other brother of Azhar Masood?